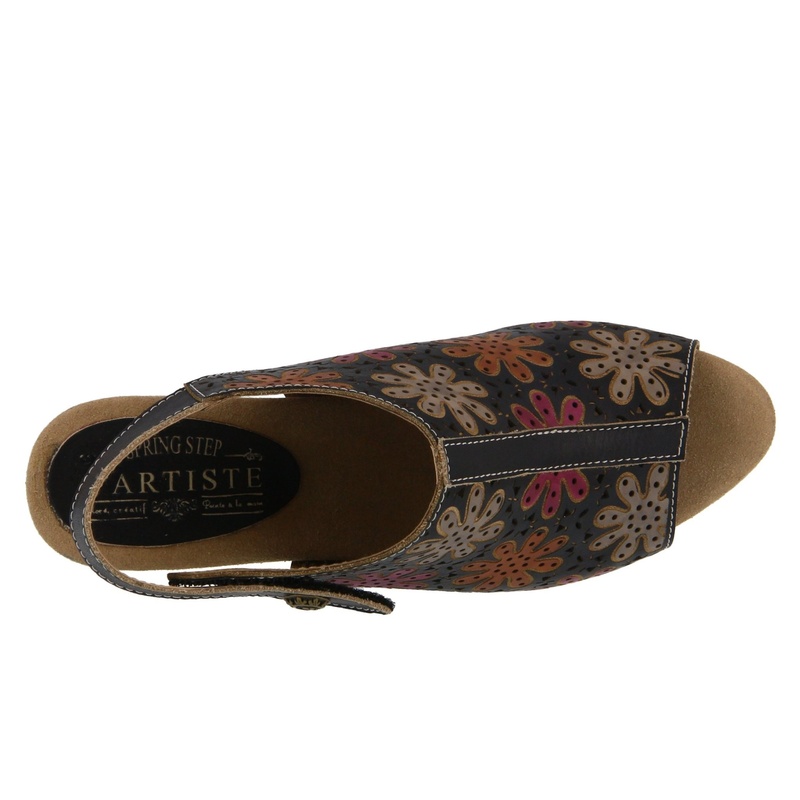 French inspired, hand-painted leather sling back sandal with flower design featuring geometric laser etching and cutouts. 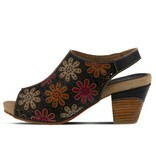 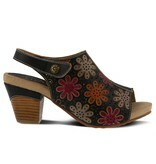 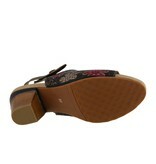 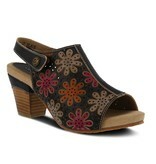 High quality leather upper, round toe silhouette, tonal stitching, stacked and leather-wrapped heel. -Adjustable hook and loop back strap with a decorative antiqued metal button.